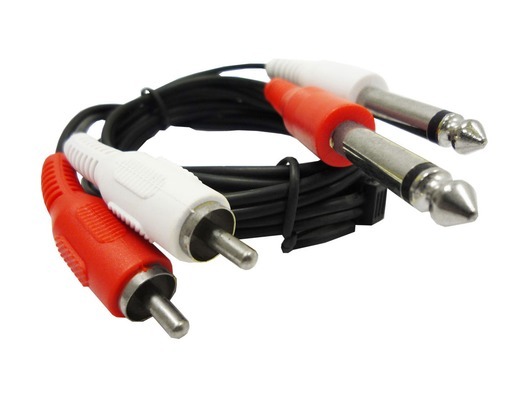 These high quality Phono cables can be used for a wide range of uses such as connecting stereo equipment, patching, linking between audio and more..
Two RCA phono plugs to twin 1/4" / 6.3mm mono jack plugs with screened twin audio cable, colour coded for stereo connection. Cheap enough, and wouldn't want to use them on any high end gear, but do the job and don't cost the earth. Very good cable. 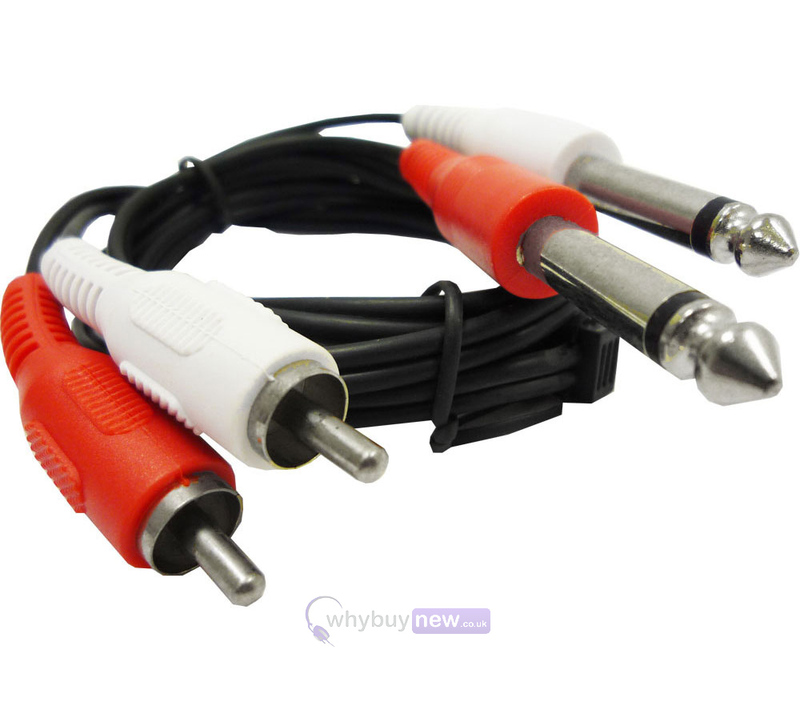 Has a good length so easy to plug in to PA. Cheap and quality delivery as-always from WBN. Bought this as a spare. Good quality, great price, next day delivery! Bargain.